On June 22, 2013, Manhattan District Attorney Cyrus R. Vance, Jr., joined Director of Security for the New York City Housing Authority (NYCHA) Patrick O’Hagan, NYCHA board member Victor A. Gonzalez, NYPD Assistant Commissioner Kevin O’Connor, and Jackie Rowe Adams, Co-Founder of Harlem Mothers S.A.V.E., to host the first-ever “East Side Reunited” Play Street for the residents and families of the Taft, Johnson, and Lehman Houses in East Harlem. NYPD 23rd Precinct Captain Eric Pagan, PSA 5 Deputy Inspector Chris Morello and Inspector Kristel Johnson took part in the event, as did members of Community Board 11, Healthfirst, Girl Be Heard, Figure Skating in Harlem, and the Fresh Air Fund. Assistant District Attorneys and staff members from the Manhattan District Attorney’s Office’s Community Affairs and Crime Strategies Units also participated in the event, which took place on East 110th Street between Park and Madison Avenues, and brought together approximately 1,000 people. “East Side Reunited” also featured an inspiring performance on the topic of gun violence by Girl Be Heard, a non-profit theater company comprised of girls between the ages of 14 and 23 who write and produce their own material. The performance included material from their show, “9mm America,” weaving together song, dance, rhythmic choreography, and poetry. Activities for “Play Street” participants included games, face-painting, an inflatable bounce-house, and a puppet show, performed in both English and Spanish; lunch was provided for all attendees. Members of local law enforcement and representatives from non-profit organizations were also present to distribute information about resources available to the community, such as after-school programs, employment training, social services, and healthcare. Pictured: A “Play Street” participant gets her face painted. “East Side Reunited” was organized in response to several recent, large-scale gang prosecutions. 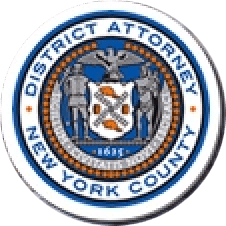 In the past three months, the District Attorney’s Office and its partners in the NYPD have charged 81 members of four different East Harlem gangs with a range of violent, drug-and conspiracy-related charges. Following the “East Side Reunited” event in East Harlem, District Attorney Vance joined the U.S. Drug Enforcement Administration (DEA) Special Assistant Agent-in-Charge Will Plummer, and Bruce Badler, owner of Basketball City, at a Saturday Night Lights basketball program tournament on the Lower East Side. The “Drill and Play,” basketball program was introduced in October 2011 as a collaborative effort between the District Attorney’s Office, DEA, NYPD, the Police Athletic League (PAL), and Pro Hoops, Inc., to reduce youth violence through community engagement. To date, the program has given approximately 1,800 boys and girls between the ages of 11 and 18 the opportunity to team up with professional coaches and members of law enforcement and play basketball in a fun, safe setting on Friday and Saturday nights. The basketball program is free for all participants and is funded in part by asset forfeiture money seized through anti-drug initiatives. The success of the program has led to its expansion into two sports – basketball and volleyball – and five locations throughout the borough that are open on Friday and Saturday nights. “AllStarr Volleyball”, like “Drill and Play”, offers participating students the chance to work with professional coaches and improve their skills through training and competitive scrimmage. Additionally, free academic tutoring is offered through the complementary “Advocate 2 Graduate” program. For more information on the year-round program, including how to sign up your child, please e-mail Joselinne Minaya at MinayaJ@dany.nyc.gov or call 347-203-7605.